�A comprehensive and timely contribution to aromatherapy, herbalism and the whole field of holistic health care. An authoritative, reliable guide that will serve its readers for many years.� �David Hoffmann, the American Herbalists Guild and California School of Herbal Studies. The definitive A-Z reference guide to essential aromatherapy oils. Aromatherapy expert Julia Lawless shares her extensive knowledge in this detailed and systematic survey of more than 190 essential aromatherapy oils. 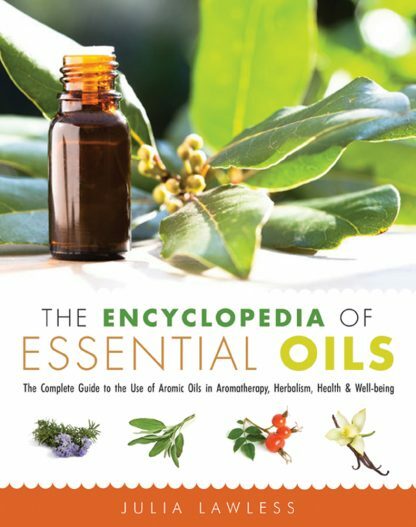 From commonly used oils such as lavender and tea tree oils to the more obscure oils including deertounge, oakmoss, cananga, and angelica, The Encyclopedia of Essential Oils offers a wide variety of uses and cures for everything from wrinkles to kidney stones. This easy-to-use volume lets you access essential information in a variety of ways with a Therapeutic Index, a Botanical Index, and Botanical Classifications, plus safety information.